1. Elizabeth James FRITH (known as 'Eliza'), daughter of Joseph FRITH (c. 1771- ) and Elizabeth Mary JAMES ( - ), was born in [Julian] 1790 in Bermuda. She married Samuel Saltus INGHAM after 1809. She died on 26 August 1836 in Sandys Parish, Paget, Bermuda. Eliza Margaret INGHAM (1800-1899). Eliza was born in 1800. She was christened on 18 May 1820 in Christ Church, Warwick, Bermuda. She married Charles Mortimer CONYERS on 25 May 1847 in St Anne's Ch., Southampton, Bermuda. She died in 1899. She was buried on 25 January 1899 in Paget, Bermuda. 2. Joseph FRITH, son of Benjamin FRITH and Elizabeth SMITH, was born circa 1771 in Bermuda. He died in Bermuda. He married Elizabeth Mary JAMES. 4. Benjamin FRITH, son of William FRITH and Sarah LEA (LEE), was born in 1761 in Nova Scotia. 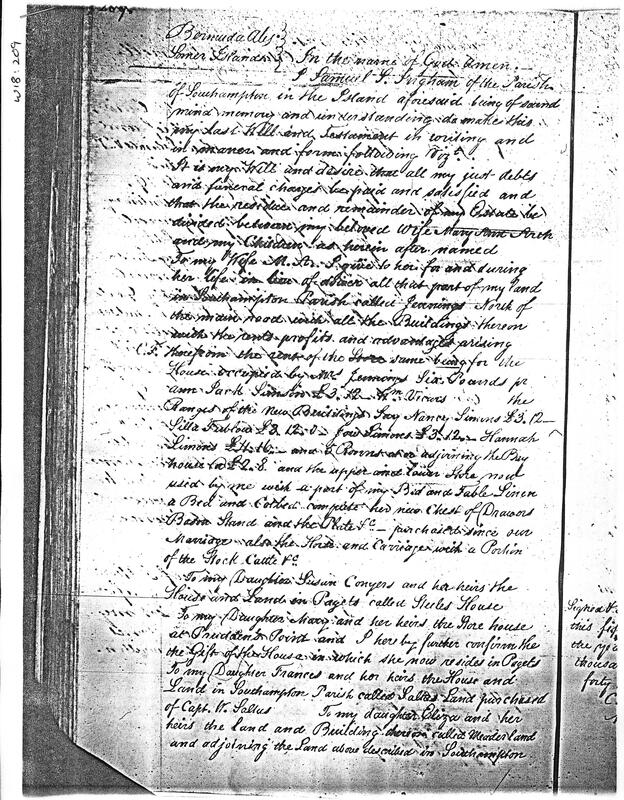 He married Elizabeth SMITH on 2 March 1763 in Moore Register, Bermuda. He died between [Julian] 1796 and [Julian] 1801 in Bermuda. He died in April 1801 in Bermuda.